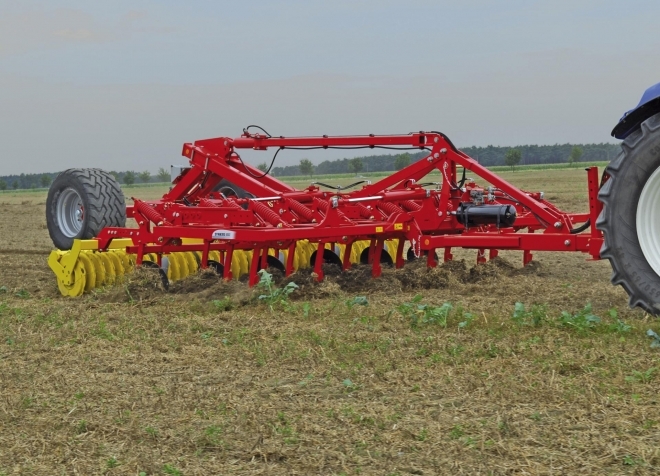 As standard equipment SYNKRO Stubble cultivators are fitted with a chisel point/duck foot combination. 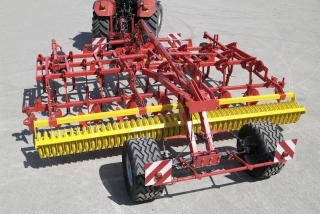 The narrow tine spacing of 10.63" / 27 cm of the 3-gang cultivators (42 to 45 cm for 2-gang cultivators) ensures optimum mixing-in of harvest residues – an ideal prerequisite for mulch drilling. 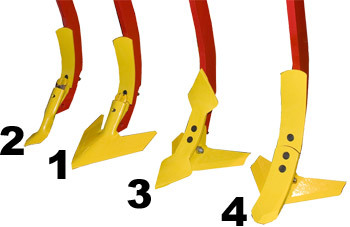 The duck foot wing shares can be mounted in two positions using one bolt. For deeper work the duck-feet wings can be removed by undoing just one bolt on each leg. The lightly curved guide plates mix the flow of earth from the side - an intensive rolling movement without flinging soil up into the frame. The outer tines are fitted with edge guide plates. Hardened steel points and armoured duck foot wing shares are available to extend service life even further. 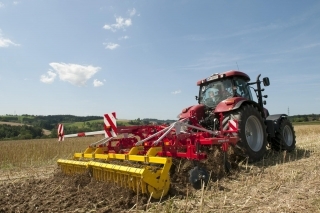 For especially shallow work Pöttinger offers straight tines with a quick-change system or double-diamond points with duck foot wing shares. 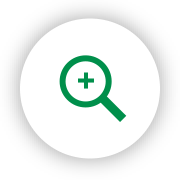 For deep loosening work down to 11.81" / 300 mm a narrow share with quick-change system, chisel points or double-diamond shares can be implemented on their own. 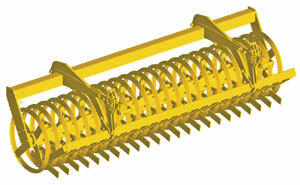 Spread-wing share – works in evenly and thoroughly churns up mulch, manure and clay. Good crumbling, loosens over the whole area, always cuts right through. 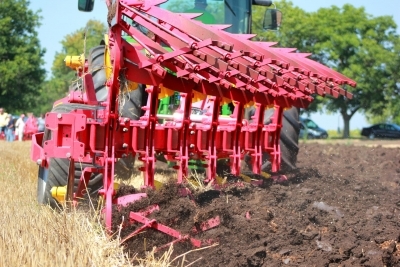 Wide bar point shares improve the mixing through of the soil. Reversible and can be reset so that it obtains 3 times the normal service life. Spread-wing shares and chisel bar points have a thickness of 10 mm – longer service life, better economy. End share faces inwards to guide the flow of soil inwards. Prevents ridges from forming. 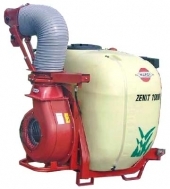 · Cutting ring roller: dry, difficult soils. 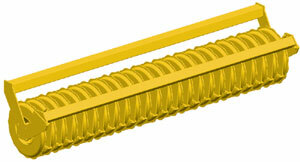 · Cage roller: ideal for dealing with dry, non-sticky soils. The shoulder rings have a diameter of 22” / 550 mm, and there are eight rings per metre of working width. 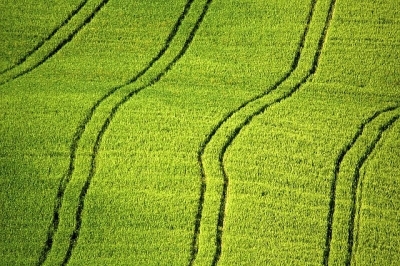 The roller leaves behind consolidation in strips, promoting water absorption and soil respiration. 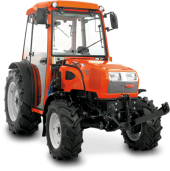 This is the ideal roller for stony, damp soil conditions and large quantities of organic material. The advantages of the cutting ring roller (24” / 600 mm diameter) include enhanced crumbling and compression by means of wedge-shaped rings. The blades between the rings crush the lumps of earth and also clean the spaces between them. Compression in strips has the advantage that water can be absorbed better. 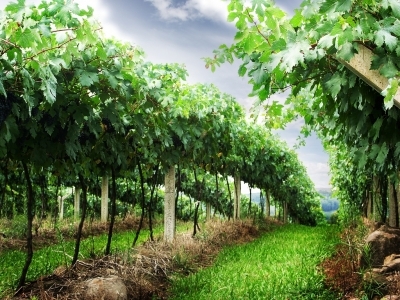 The correct choice for dry, difficult soils. 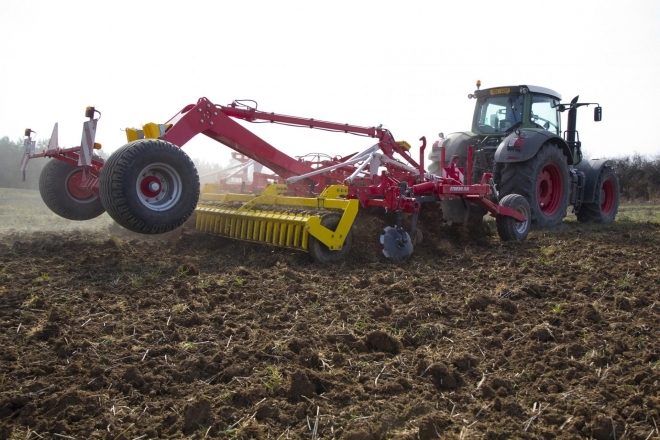 The ideal roller for dealing with dry, non-sticky soils. 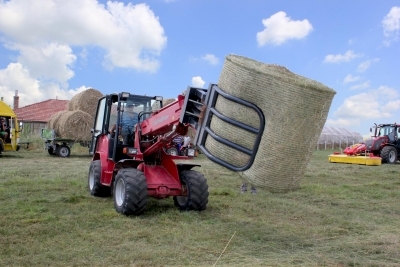 The roller is fitted with twelve strong rods for optimal compression. Diameter 21” / 540 mm. 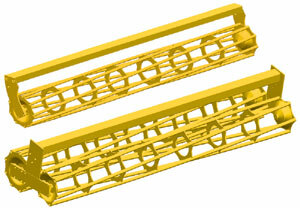 The double cage roller is fitted with different diameters(16.5” / 420 mm front and 15” / 380 mm rear). 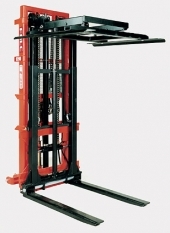 The pendular function ensures optimal crumbling and adjustment to the contours of the ground. Two aggressive tine rotors that reach into each other, crumble and mix particularly well. Each rotor consists of a central tube. 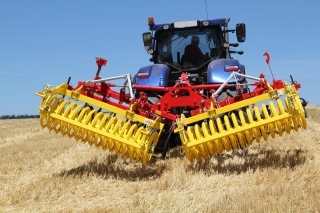 The front rotor has a diameter of 11” / 270 mm, the rear rotor 8.5” / 215 mm (tine external diameter is 24” / 600 mm and 21.5” / 545 mm). The pendular suspension ensures the best adaptation to any unevenness of the terrain. Rotopack rotors mix particularly intensively – for light to heavy, non-sticky soils. 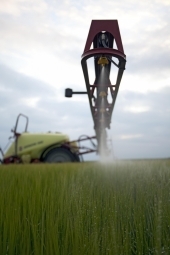 Harvest residues remain on the surface of the soil and protect the soil against drying.